MINNEAPOLIS – On August 12th, New York Times writer Sheryl Gay Stolberg found herself heavily berated on social media for her reporting on the recent violence in Charlottesville, Virginia. Stolberg, however, had done nothing to buoy the case for the white nationalist or racist elements in motion that day. Her “crime” was instead to suggest that “the hard left seemed as hate-filled as the alt-right” during demonstrations that claimed one life and injured dozens more. While Stolberg may have been maligned for casting a critical eye on the “hard left,” particularly the controversial group “Antifa,” she is now in good company, as legendary progressive and noted academic Noam Chomsky has also raised concerns regarding the tactics of Antifa and similar groups. 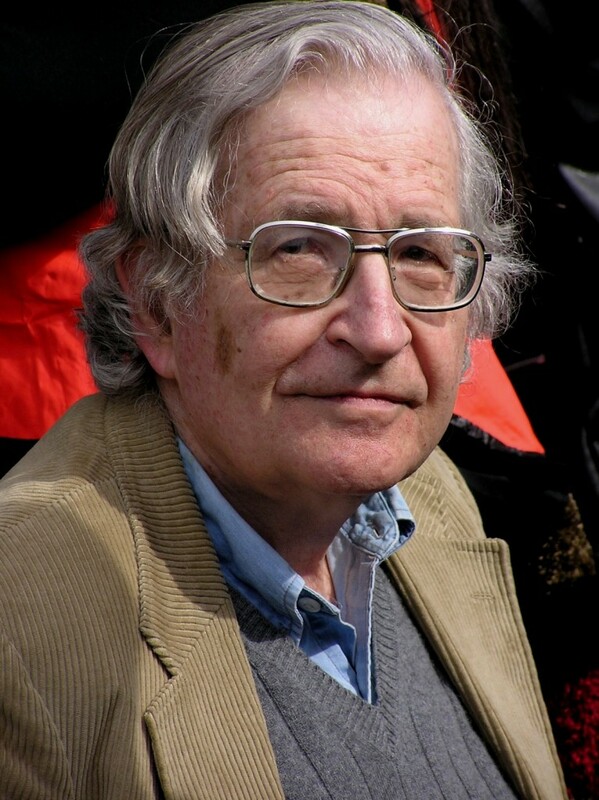 Beyond Chomsky, very few progressives have spoken out against Antifa. One of the few condemnations in the progressive press comes from writer Nicholas Goroff who argued in a piece for Occupy that the Antifa movement is in many ways antithetical to progressive values. Despite a sympathetic mainstream press, Antifa’s tactics are proving progressives like Chomsky and Goroff correct, as they are revealing themselves to have more in common with authoritarianism than with the progressive values they purport to stand for. Antifa claims to date back to the 1920s and 1930s, tracing their roots to groups of militant leftists who fought fascists on the streets of Europe. Over the years, several low-key groups adopted the name to combat periodic resurgences of Neo-Nazism. 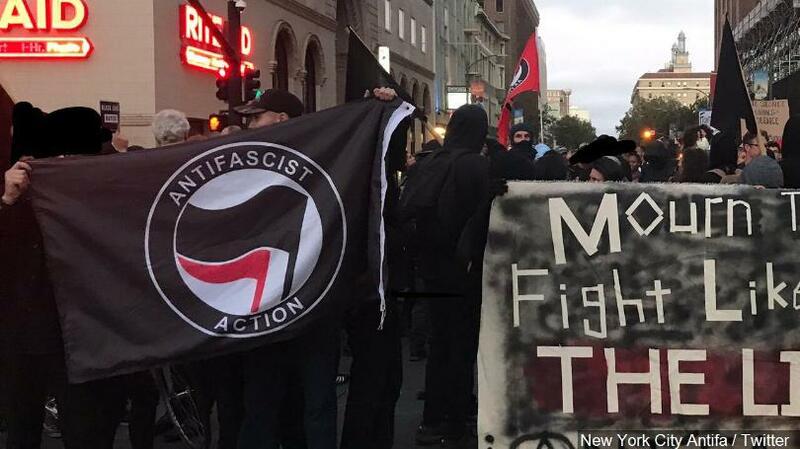 However, these groups had little in common with today’s U.S.-based Antifa, whose birth followed in the aftermath of Donald Trump’s election to the presidency last November. While many of its predecessors were organic movements originating from local communities, Antifa has been identified as sharing links to billionaire philanthropist/activist George Soros. Though some may dismiss such connections between Antifa and Soros as “right-wing conspiracy-mongering,” videos of Antifa protesters in California literally yelling “George Soros, where is my money?” do raise cause for concern about the forces driving Antifa. The video was uploaded by Beverly Hills Antifa, which captioned the video, demanding payment to the tune of $15/hour for their time spent protesting. In addition, some former Antifa organizers have come out and stated that they were promised up to $2,000 per week to organize protests by Soros — money that they never saw. However, more concrete proof of the group’s association to Soros-funded organizations has yet to emerge. Antifa believes that preventing the expression of “free speech” — by any means necessary – is “defensive,” as expressing what they deem to be “hate speech” can lead to violence against vulnerable minorities. Yet, certain Antifa members have been caught on video harassing minorities, whom they have labeled “fascists” just for disagreeing with them. There is nothing in this video confirming that the African-American man in the video is a fascist, as he is not allowed to speak. He asks to pass by the march and is told to leave. He refuses to move and is verbally and physically threatened by the Antifa member who initially confronted him and then physically attacks her in retaliation. As can be observed, the tenor of the whole scene is such that it is hard to imagine a group in full possession of its faculties choosing to display to a broader public such self-degrading behavior among any of its members. The same branch of Antifa later posted on their Facebook page a condemnation of a “Free Speech” rally in Boston this past weekend. Though most accounts painted the rally as sparsely attended, Brandon Turbeville of Activist Post – after speaking with attendees and reviewing livestream footage taken at the event – concluded that many of those attending were minorities and people from different sides of the political spectrum. In their post, the group stated: “There is no room for capitalists, conservatives, libertarians, ‘classical liberals’ or supporters of the U.S. constitution in our city. You MUST leave,” followed by the hashtag #BostonResist. Clearly, not all those subscribing to the aforementioned ideologies are fascists or white supremacists. 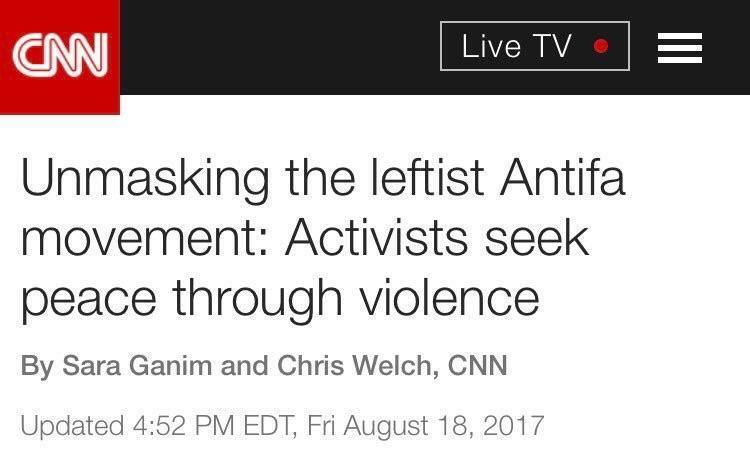 Instead, it seems Antifa is justifying violence against those who do not agree with its politics by labeling everyone at odds with them as “fascists” and “Nazis.” This incarnation of Antifa, now active in the U.S., is placing itself in the ideological and tactical company of the very people they are ostensibly fighting against: fascist authoritarians. This article is mostly fine except this sentence: “In addition, some former Antifa organizers have come out and stated that they were promised up to $2,000 per week to organize protests by Soros — money that they never saw.” The article that it links to is labelled as satire and therefore cannot be used as an example of Antifa claiming a monetary connection to George Soros. Lots of controversy about this centering around violence vs. nonviolence and also free speech. Re free speech, I, one of many, am not willing to throw the Constitution out the window. 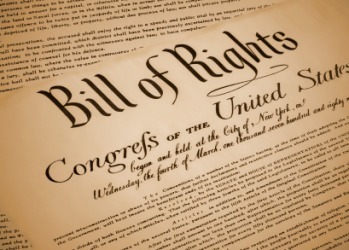 Especially the Bill of Rights, even though in many ways they are desiccated. Read your history: one major tactic of Hitler was seizing the press. As someone said, the counterprotesters may have the moral high ground and it seems a no brainer, but what if the shoe were on the other foot and the alt-right had all the positive press and our voices and rights were totally silenced because free speech was abrogated. Unfortunately the (Soros-funded and Democrat Party aligned) “Democracy Now” also recently promoted a one-sided portrayal of “Antifa” as heros through Amy Goodman’s long interview of guest Mark Bray who authored a book in praise of “Antifa” as if it’s a successor to the 1920’s anti-fascism groups in Europe. Not only are they playing into the alt-right’s hands, but they are also playing into the Deep State’s hands. The DS would like nothing better than to create chaos among the masses (George Soros-style), divide and conquer, and show the world that the US is ungovernable under Trump. That will be the Democrats’ call to arms in 2018. 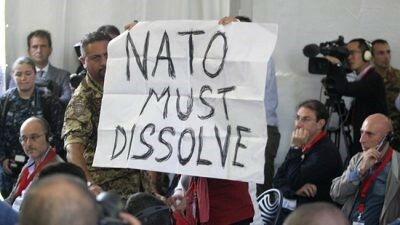 Unfortunately, that will only return the US into the hands of the anti-Russia war party. It’s a lose-lose.